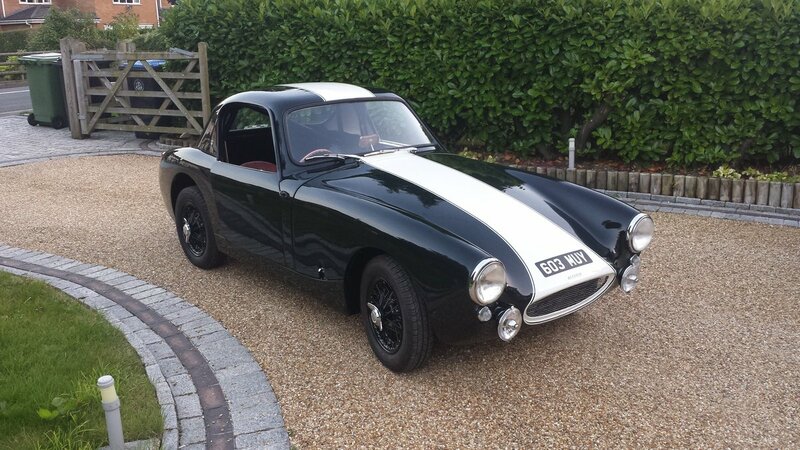 This Sebring Sprite replica was originally built by a well-known Healey Specialist as his own personal car, using an original MK1 Frogeye Sprite donor. 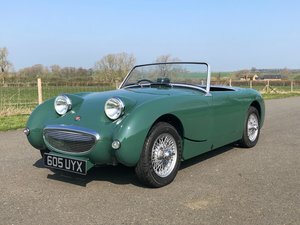 The rebuild and Sebring conversion saw the car receive a comprehensive nut and bolt restoration which has been documented online and in the Austin Healey Enthusiast magazine. 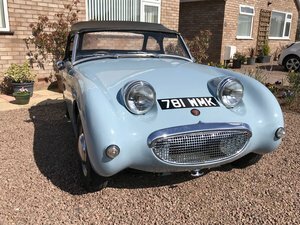 The original Frogeye body was completely rebuilt using new panels to remove any rot and previous poor repairs and an Archers Sebring coupe body kit was added. 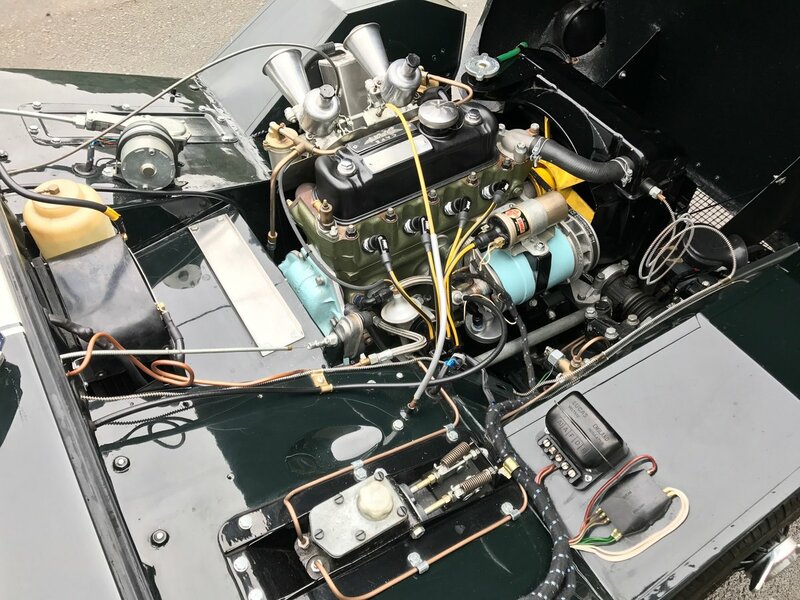 The car’s engine and transmission, suspension, brakes and electrics were all either refurbished or replaced with new parts during the rebuild. The car’s dark green paintwork is accented with thick white stripe that runs from front to back and matching dark green wire wheels. 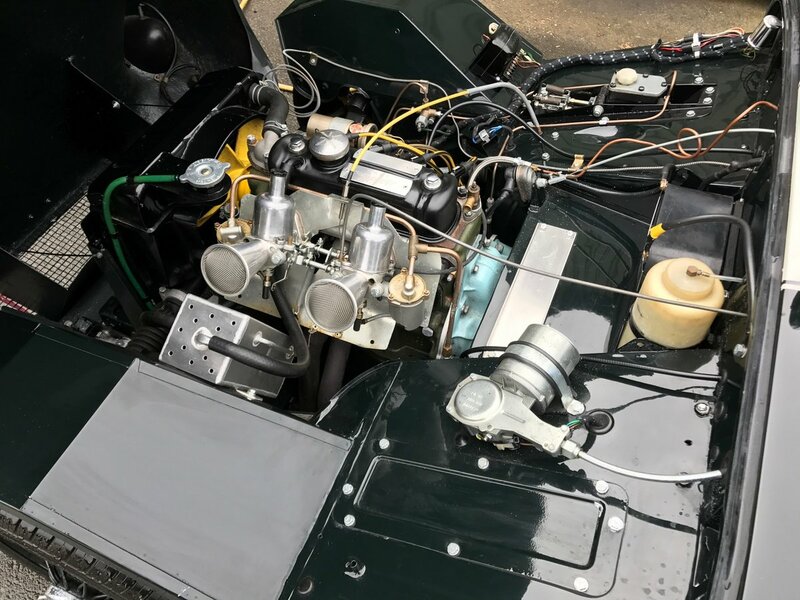 The car features a fast road 1098cc A series engine which has was rebuilt in 2016 by the Midland Classic Restorations team. The engine has been developed to allow it to easily keep pace with modern traffic and offer a great deal of fun while doing so. 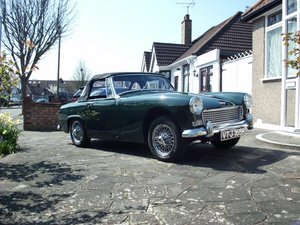 The car drives very well and has completed a number of European trips. 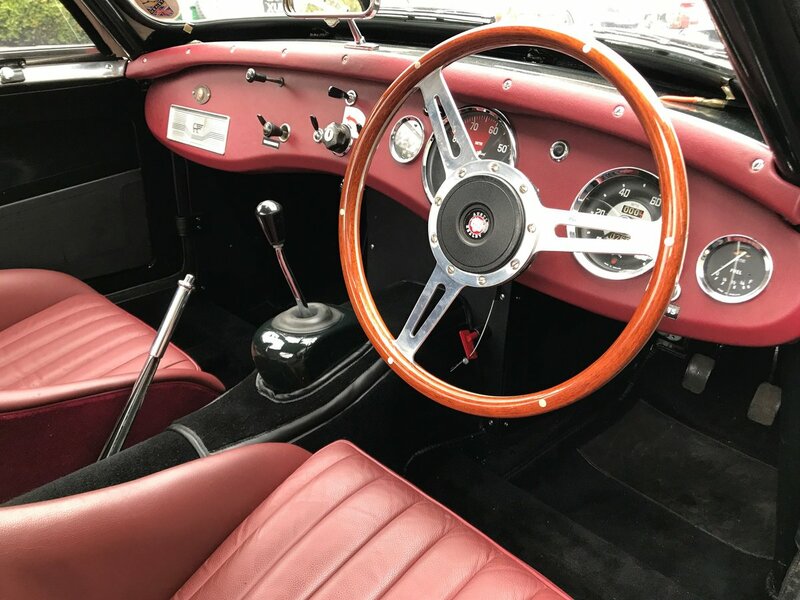 The interior has been very nicely finished with period looking leather dash, leather bucket seats and wood rimmed Moto-Lita steering wheel. 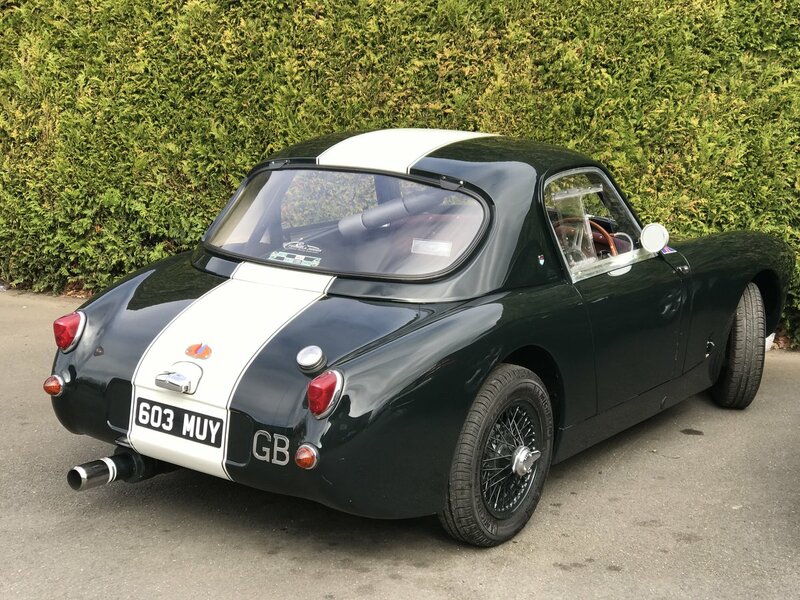 A great deal of attention has been taken with the interior to make is look like an original period Sebring Sprite, but ensure that it remains a comfortable place to drive. 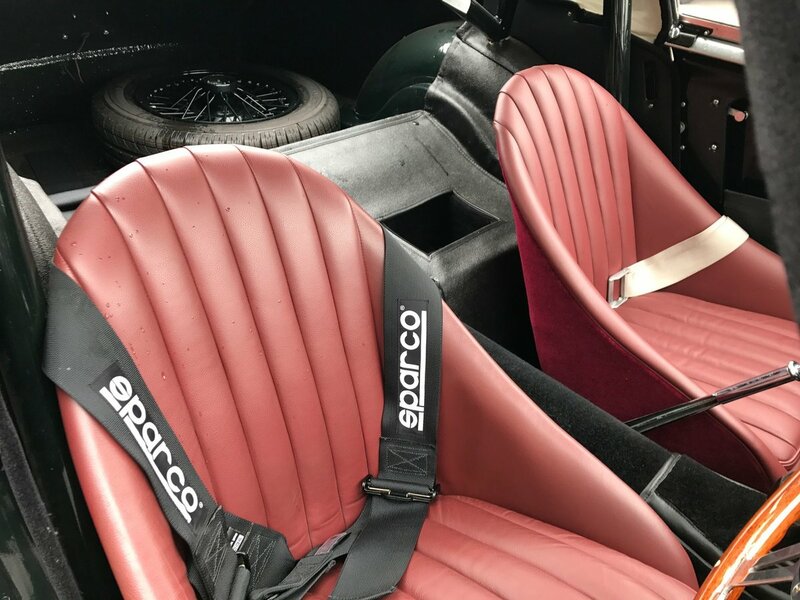 The car comes with a complete folder of receipts and invoices, which document the effort and attention to detail the car has received.